ZT Bara - the latest version of the elegant and stylish template from the studio ZooTemplate. 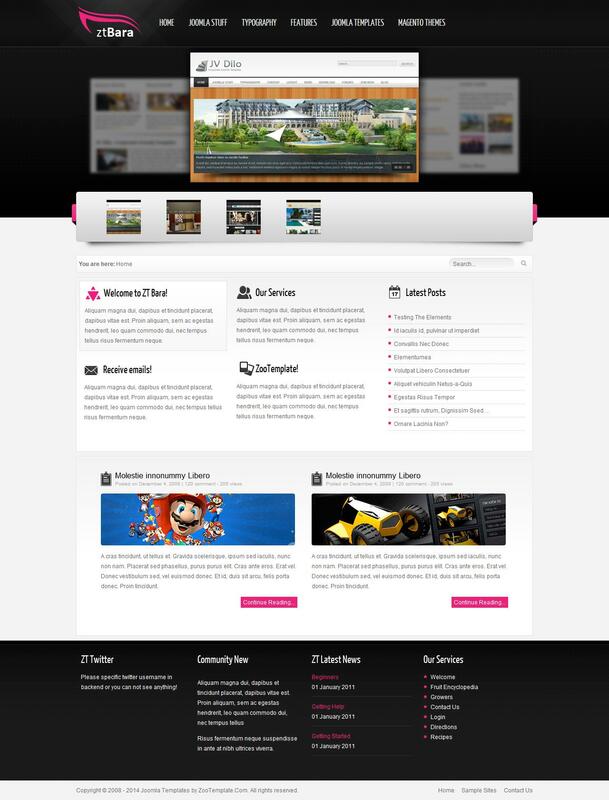 Perfect for creating a portfolio, corporate, business or blogging sites. Uses mega menu, easy to install and use, has a large number of professional settings. Maintains compatibility with extensions K2 CCK, originally layout template is divided into two columns and has 27 module positions. Consisting QuickStart, source code, as well as modules JV Tabs, JV Headline, JV Twitter.